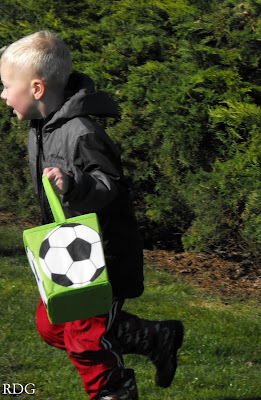 The Saturday before Easter proved to be exciting for our household. We packed up the kiddos and headed down to our town park located on the banks of the Columbia River. The town's Easter Egg hunt put on by our local Eagle's group is a greatly anticipated event for our kids. The park is peppered with Easter Eggs! 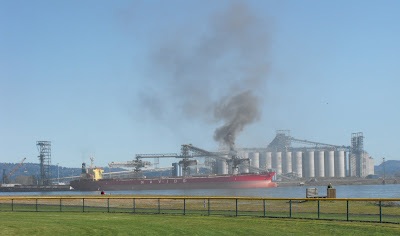 However, upon looking across the river to the Longview, Washington side, we saw a ship on fire! 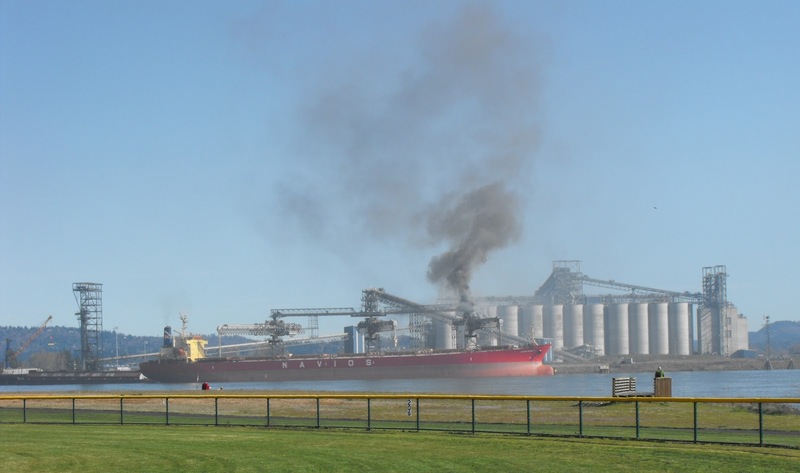 The new, multi-million dollar grain storage/loading facility didn't appear to be working all that well. The kids were amazed and we could hear fire engines screaming to the rescue to the Port of Longview. 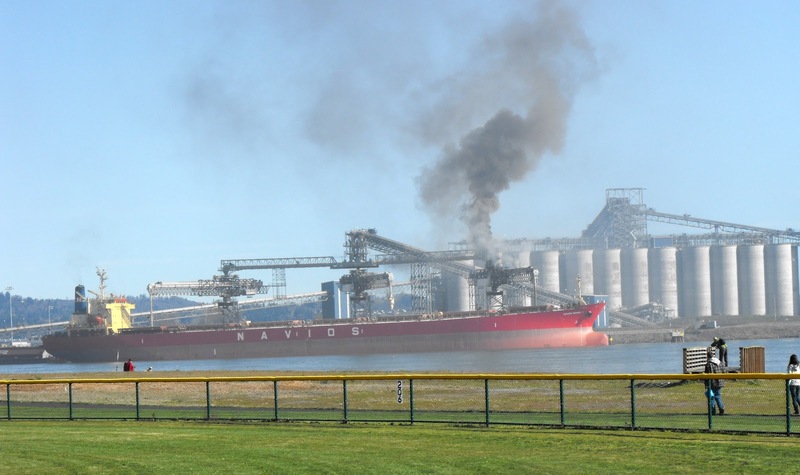 No injuries to the workers on the boat or grain facility and the fire was put out safely. And back to the most important event of the day per my little kid-lets. 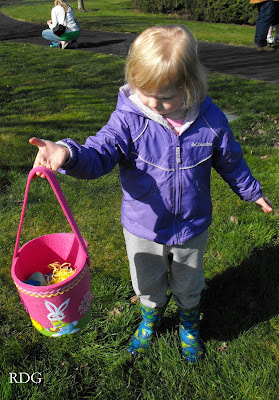 The Easter Egg Hunt! It was fun to see my 6yr old find some of his school buddies at the starting line. My 4 yr old was very ready for the hunt because she made me read The Berenstain Bears and the Real Easter Eggs only about 100 times this past winter. While our town and outlining rural area's don't often come together, the town's Easter Egg hunt is always a winner. The kids had a blast. So were you allowed an easter egg too? Fun, fun, fun! This was the first year without such hunt for our 13y.o. boys! I missed it! Now, Jenni, I have a question. Have you ever been to Longview, WA? We used to live in Kansas City, across the small lake from the Long's mansion. That is a very beautiful place! 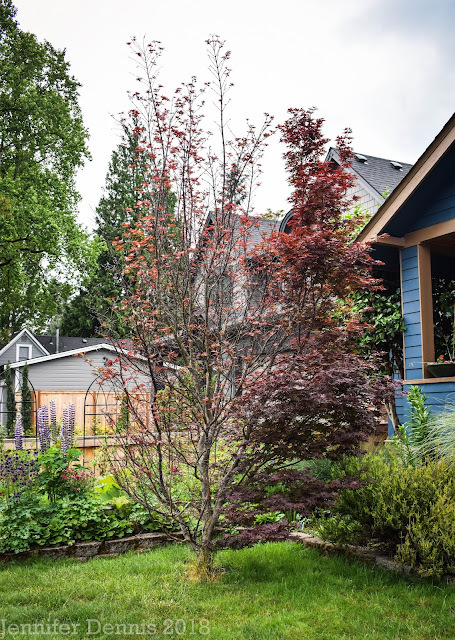 Do you know if Mr.Long, a timber baron, had a mansion in this Longview too? Hi Tatyana, yes, I've been to Longview, Washington. There is a bridge directly across the river from Rainier. We have no shopping / stores in Rainier, so all of my shopping is done in Longview/Kelso. I'm not sure if Mr. Long had a mansion in Longview, I assume so. But, I can tell you that the gentry of that age all lived in an area of Longview around a man made lake called Lake Sacajawea http://www.mylongview.com/parks_rec/parks/parks_lake.html. The homes in what is called the 'Old West Side' are beautiful. It's really the only pretty part of Longview. Mr. Long also has a high school named after him called R.A. Long. easter eggs and fire! What could be more fun than that? Well I'm sure the time with your kids and sunshine helped out too. I'm glad you had a good easter. Little Sprout looks so Easter-y in her lavender jacket. What a fun and sunny! day. I'm glad no one was hurt on that ship.